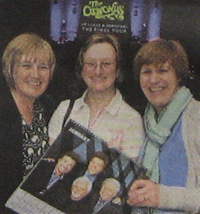 Excitedly waving scarves and posters, wearing glittering band T-shirts and dolled up to the max, fans from across the country crowded into Wolverhampton’s Civic Hall to see their idols. It could be the scene of a One Direction or The Wanted gig – but these were no teenyboppers, and this was no teenage boyband. 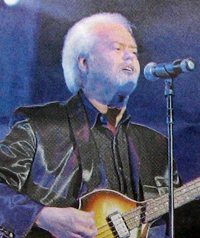 This was the Black Country leg of the latest UK tour from 70s icons The Osmonds. For over five decades, the gang of brothers have been selling out venues around the world – and it seems their popularity has not started to wane yet. 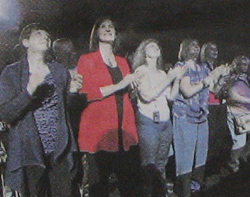 The crowd – largely middle-aged women dragging along their husbands and children for company – rolled back the years as they danced and screamed to some of the best-loved songs from that era. The all-American family group, minus housewives’ favourite Donny, held their audience captivated as they played Crazy Horses, Love Me For a Reason and Down By The Lazy River. And with the series of shows entitled Up Close and Personal: The Final Tour, fans who have been in love with one or more of the brothers for up to and over 40 years seized what may be their final chance to see the stars. Lifelong fan Gail Keane, from Wednesfield, was given the tickets as a present from her sister Katie Bradley for her 50th birthday in October. Meanwhile, Anne Martin, also 50, from Oxley, Wolverhampton, was also there. “I was 11 when I first started liking them – I liked their music and I liked their looks,” she said. 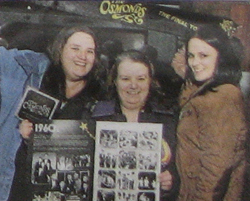 And birthday girl April Newman had travelled all the way from Tewkesbury, Gloucestershire, to celebrate her 50th birthday at the concert yesterday. The tour has seen the group play several Midland shows including an appearance at Birmingham’s Symphony Hall and Shrewsbury’s Theatre Severn, plus a sold out show at Malvern Theatre tonight.